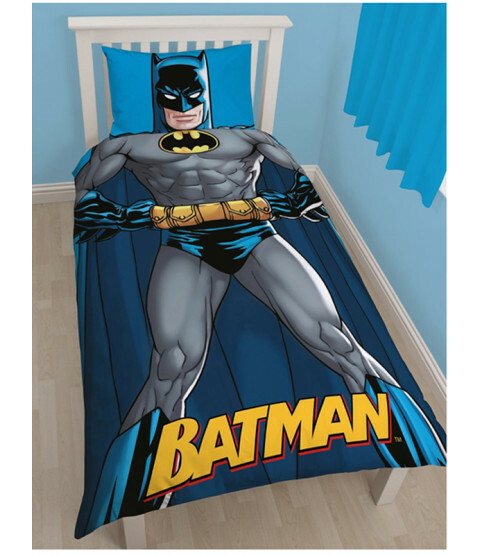 This fantastic Batman Shadow single duvet cover set is the perfect bedding set for fans of Caped Crusader! 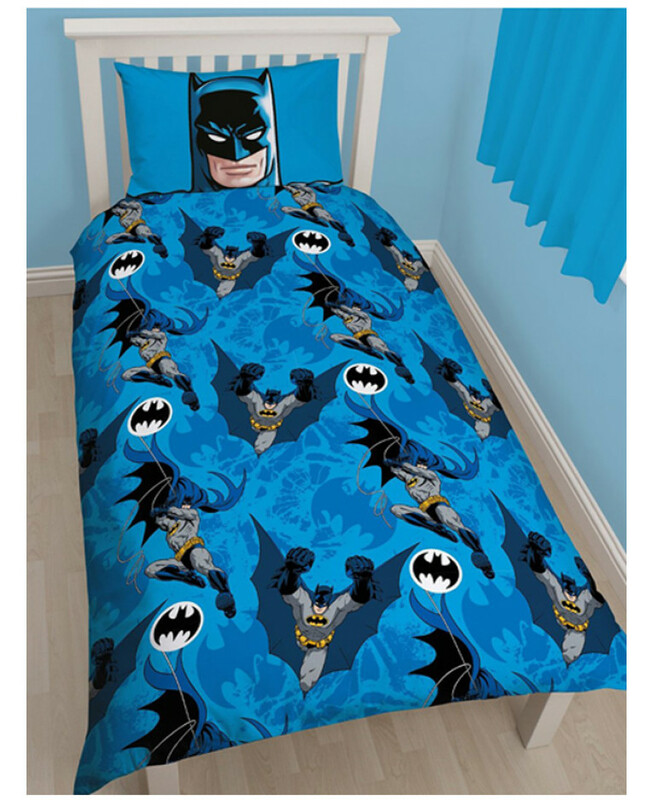 The front design features a great image of the mighty Batman with his body on the duvet cover and his head on the pillow, whilst the reverse features lots of smaller images of Batman on a blue bat themed background. 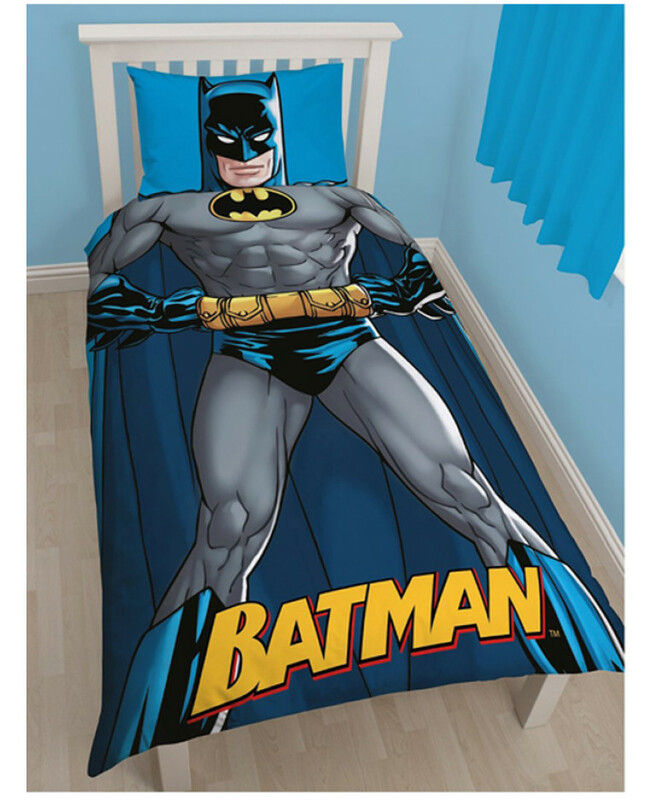 The set can be machine washed and tumble dried on a low setting.